Great for promoting local business or events. 18" diameter x 20' tall air dancing dude. 3/4" hp vortex blower provided 5,200 cfm of air volume. Vortex fan is equipped with wheels for easy maneuvering. 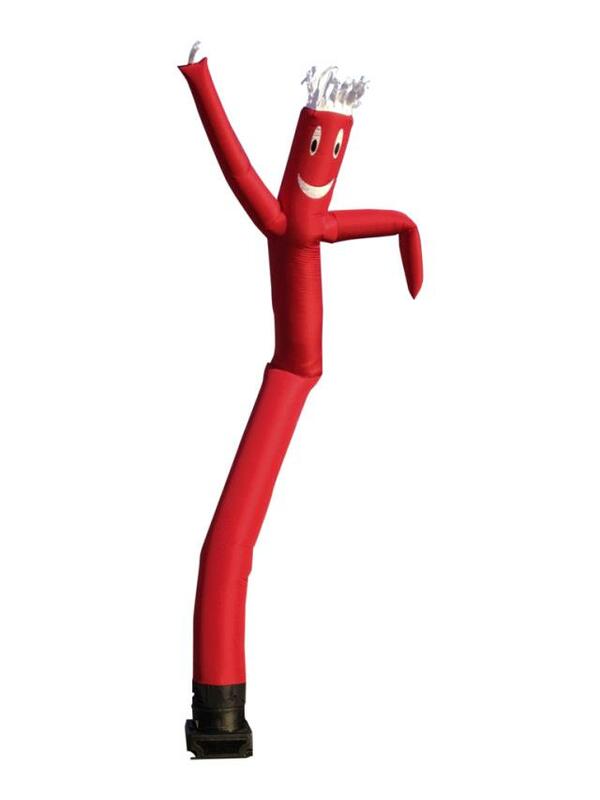 * Please call us with any questions about our dancing dude red 20 foot w/fan in Oak Grove MO, Blue Springs MO, Independence MO, Lexington MO, Odessa MO, Independence MO and Western Missouri.